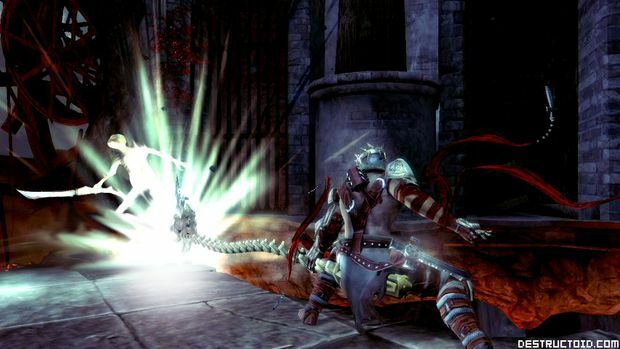 Detractors have said many negative things about Visceral Games' Dante's Inferno. But let's keep one key point in mind -- many of them (in fact, most of them) haven't played it yet. For PlayStation 3 owners, that changes today, as the demo for the game will hit PlayStation Network as part of today's update. The demo consists of the entire opening of the game, cinematics and all. All told, it's about 25 minutes from start to finish, and should give you a good idea of the direction Visceral have taken. You'll battle Death to the uh, death; you'll use his scythe to tear apart old-man-looking demons; you'll ride a beast and make it bite people's heads off. You know, the daily routine. Full playthrough above, with words and a shorter clip after the jump. Many have tossed "It's a God of War clone" accusations at Visceral. In many ways that's true, but if that's the worst thing you can say about the gameplay, then Visceral's got nothing to worry about. And when it comes to gameplay, especially in the fighting mechanics, the developer really seems to have nailed it. 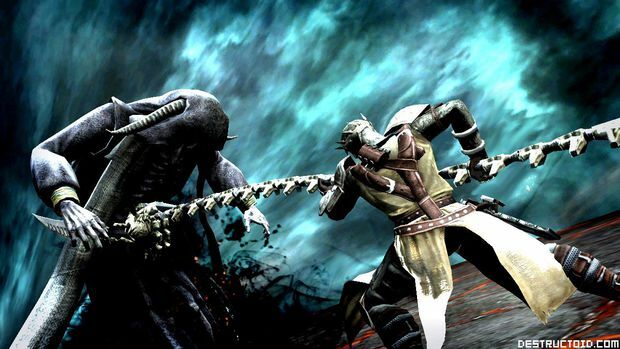 The game's combos feel big and heavy, with Dante's scythe having a nice weight as he tears down (and apart) demons. The "Holy Cross" attack (which I felt was a bit weak in early builds I had played) is great for ranged attacks, but can also be weaved into scythe combos easily and effectively for some vicious looking attacks. Also like God of War (and many other action titles that have followed), Dante's Inferno employs its fair share of "quicktime events." Enemy finishers are ripped straight from God of War, for instance -- beat certain enemies down enough, you'll get a prompt to end their miserable existence by pressing the Right Trigger (or R2). Still, Visceral manages to keep it interesting, even beyond them looking particularly brutal; one involved me pulled both analog sticks in opposite directions to rip a beast apart. It's also interesting to note that during two separate playthroughs, I finished the same enemy with a different animation and quicktime sequence each time. The demo also looks great, whether you're talking about the slick CG cut-scenes (which probably cost Visceral a fortune) or the in-game action which runs at a nice 60 frames-per-second clip. With detailed, impressive environment and character design, it's unlikely you'll hear anyone complaining too much about how Dante's Inferno looks. As a fan of action games in this style, I'm pretty impressed with what this demo had to offer. So much so, in fact, that when the my 25 minute playthrough was over, I was definitely left wanting more. Based on the demo, it doesn't seem like it's reinventing the genre, and it doesn't have to -- it just needs to be a solid, brutal, and fun experience. If what I've played is any indication, Visceral is definitely on the right track. [The above footage is my own complete playthrough of the Xbox 360 version of the demo which will hit Xbox LIVE Marketplace on December 24. It was played on a 360 test unit off of a disc, so things like load time may not be indicative of the final product. If you don't have 30 minutes to blow on watching a video, a shorter version provided by EA can be seen below.